Based upon a reputation of “products you can trust”, quality assurance is of paramount importance at Envirostik. All raw materials are sourced based on a defined specification prior to using in the adhesive mix. 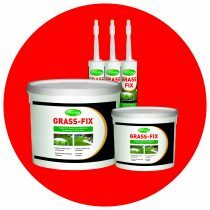 Every batch manufactured is quality checked during and after, meaning that users of the product can have confidence that they have a quality seam jointing adhesive for their synthetic grass installation.